We are enormously thankful for the support of our corporate partners and greatly value the strategic alliances that bring greater awareness and funds to provide support, education and research that will help everyone impacted by Parkinson’s disease live life to the fullest. APDA is grateful that so many share our commitment and determination to change lives for the better. Through their generosity, we are able to to provide information, education, and support to those impacted by Parkinson’s disease and to fund scientific research into the cause, prevention, treatment and ultimately the cure. We thank our sponsors for their commitment and invite you to learn more about them. Lundbeck, a global pharmaceutical company based in Denmark and founded in 1915, strives for global leadership in psychiatry and neurology by improving the lives of patients. One of the world’s leading companies specializing in brain disorders, Lundbeck is focused on innovating treatments for depression, schizophrenia, Parkinson’s disease and Alzheimer’s disease. With a focus on accelerating advances in brain disorders, Lundbeck employees are engaged in the research, development, production, marketing and sale of innovative therapies that fulfill unmet medical needs among people living with challenging and sometimes rare neurologic and psychiatric disorders. In its research pipeline, the company has neurology compounds under investigation for Parkinson’s disease, Alzheimer’s disease and epilepsy, in addition to therapies in development for mental health disorders. With a special commitment to the lives of patients, families and caregivers, Lundbeck actively engages in hundreds of initiatives each year that support our patient communities. To learn more, visit www.LundbeckUS.com and connect with them on Twitter at @LundbeckUS. A global, researched-based biopharmaceutical company, AbbVie is committed to ongoing Parkinson’s education to raise awareness about the condition, and research to improve the lives of those living with and impacted by this disease. ACADIA Pharmaceuticals Inc. is a biopharmaceutical company focused on the development and commercialization of innovative medicines to address unmet medical needs in neurological and related central nervous system disorders. Acorda Therapeutics is a biotechnology company focused on developing therapies that restore function and improve the lives of people with neurological disorders. By collaborating with APDA they are helping raise awareness of Parkinson’s disease and are supporting initiatives that benefit people with Parkinson’s and their family, friends and care partners. As an emerging leader in Parkinson’s, our goal is to support the Parkinson’s community through medical research, educational initiatives and programs that help people with Parkinson’s. Founded in 1995, Acorda is focused on developing therapies to restore neurological function. We also have a strong commitment to the communities we serve through our extensive outreach programs and advocacy support, providing information and resources to help people with neurological disorders. To learn more, please visit www.acorda.com. 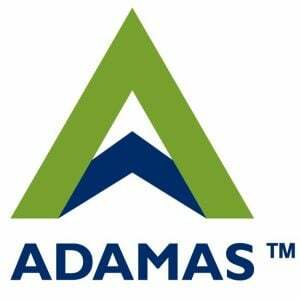 At Adamas Pharmaceuticals, Inc., we seek to redefine the treatment experience for patients suffering from chronic neurological diseases. Our goal is to create and commercialize a new generation of medicines intended to lessen the burden of disease on patients, caregivers and society. Our treatment innovations stem from a deep scientific understanding of time-dependent biology – the deliberate mapping of disease patterns and drug activity – along with a goal to meaningfully increase the efficacy of known molecules without compromising tolerability. This approach is designed to ensure that our medicines fit within, rather than define, people’s daily lives. For more information, please visit www.adamaspharma.com. The Amneal team brings people and passion together to support our mission of making healthy possible for individuals affected by conditions like Parkinson’s disease. We believe every idea, every experience, and every detail can make a difference. That’s why we connect our passionate people to partnerships with patients, care partners, healthcare providers, and advocacy organizations. We believe we can make a difference in the Parkinson’s community not just by bringing medicines to market, but by actively engaging with patients and care partners to understand the journey, unmet needs, opportunities to provide support—and to ensure their voice is reflected in everything we do. Amneal also supports leading patient advocacy organizations across the U.S., including Michael J. Fox Foundation, Parkinson’s Foundation, PMD Alliance, APDA, and Parkinson’s Alliance. We provide valuable resources that help raise awareness and funding for important education and research. We are Amneal. And we’re making healthy possible for Parkinson’s patients. 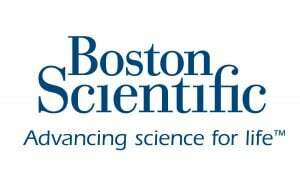 Founded in 1979, Boston Scientific is dedicated to transforming the lives of patients around the world. Each year, our devices treat 22 million patients in over 100 countries. Throughout our history, we’ve collaborated with healthcare providers to create meaningful solutions that matter to clinicians and patients. Our unwavering commitment to excellence shows up in our product development, manufacturing rigor, and education of clinicians and patients—and ultimately in the devices that go to the patients we serve. Medtronic Deep Brain Stimulation (DBS) Therapy is an FDA-approved treatment clinically demonstrated to reduce some of the most disabling motor symptoms associated with Parkinson’s disease. Developed by Medtronic in collaboration with clinicians and researchers from around the world starting in the 1980s, the therapy was approved by the FDA for the treatment of advanced Parkinson’s disease in 2002. Medtronic DBS Therapy has benefited more than 125,000 patients worldwide. Medtronic DBS Therapy uses a surgically implanted medical device, similar to a cardiac pacemaker, to deliver electrical stimulation to precisely targeted areas of the brain to reduce some of the most disabling motor symptoms associated with Parkinson’s disease, including shaking, stiffness and movement difficulties. In addition, Medtronic DBS Therapy stimulation settings can be adjusted in response to individuals’ Parkinson’s symptoms, and the system can be turned off or removed. Removal would require surgery. Sunovion is a global biopharmaceutical company focused on the innovative application of science and medicine to help people with serious medical conditions. Sunovion’s vision is to lead the way to a healthier world. The company’s spirit of innovation is driven by the conviction that scientific excellence paired with meaningful advocacy and relevant education can improve lives. With patients at the center of everything it does, Sunovion has charted new paths to life-transforming treatments that reflect ongoing investments in research and development and an unwavering commitment to support people with psychiatric, neurological and respiratory conditions.